By Adelyn Birch. Helps reveal if manipulation is at play in one’s relationships. 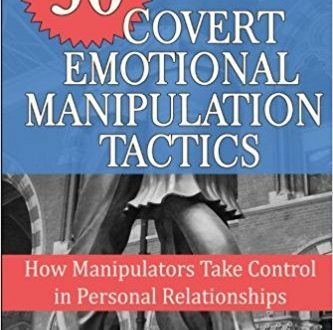 Teaches thirty tactics manipulators use to get what they want and how to spot the warning signs that expose covert manipulation is taking place, even if one can’t identify the specific tactics being used. Geared toward romantic relationships, including those involving a pathological partner, but many of the manipulation tactics are the same as those used by family members, coworkers, friends and others. Read more.